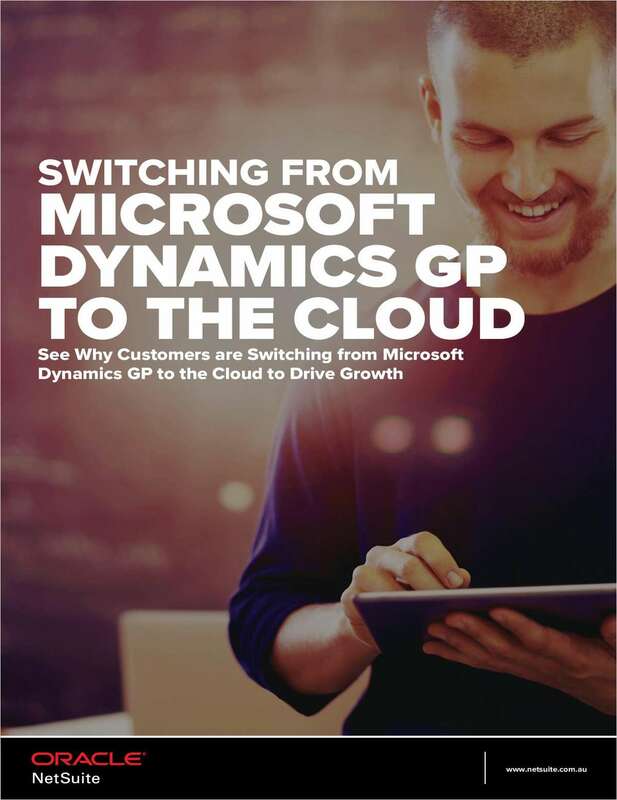 "Drive Growth: Switch from Microsoft Dynamics GP to the Cloud"
Free White Paper: "Drive Growth: Switch from Microsoft Dynamics GP to the Cloud"
Learn why businesses are making the switch. By registering for this offer I authorize NetSuite to send me additional information for marketing purposes regarding products, services, and/or events. What timeframe are you planning to purchase or upgrade your financials/accounting/ERP system?